An island of happiness and happiness - ain't that everybody's dream? Waves gently breaking on a white sandy beach, lined by palms. The cristal-clear water shimmering in shades of blue and turquoise. The warm rays of the sun glitter on the murmuring waves. Dreamlike underwater landscapes with coral woods in all rainbow colours. But we all carry an island of harmony within ourselves - we just need to discover it. Deep on the bottom of our souls we find our secret island - and with it peace, relaxation und deep harmony. 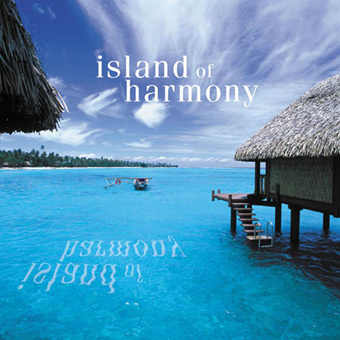 The fantastic tracks on this CD add up to a musical map of our hidden '"Island Of Harmony." 9 more albums of Gleisberg found. 2 more albums of Scholl & Gleisberg found.